This image is from waaay back in 2003. 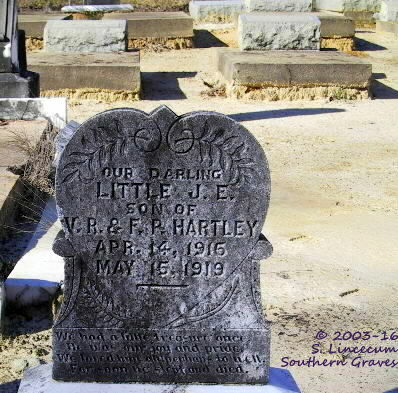 This little Hartley was buried in Walker Cemetery at Byron, Peach County, Georgia. The county was Houston at the time of his death. "We had a little treasure once. we loved him and perhaps too well. For soon he slept and died." that was not quite complete. to fill the vacant seat." What a moving epitaph. Thank you for sharing. Happy New Year!